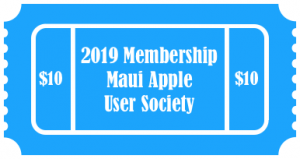 Come and join, share, and experience 5 years of Apple’s App Store for iOS devices. Can you believe it has been that long since Apps were introduced for your iOS device? Apps have introduced us to a whole new way of computing. This month, come share with us, Apps that have changed your iOS experience. As always, we will save time for your Mac and iOS questions. For directions to our meetings, click here.